Stop by Vampire.com and get 10% off any purchase all week. Any comment made today will qualify you to be entered in the Grand Prize drawing. 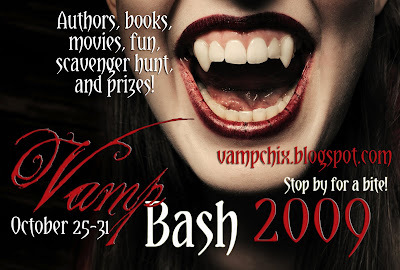 Check out all the details over at VampChix and lets have some fun this week! I visited, commented and emailed! Have a fun week, hope you get all Treats and no Tricks!